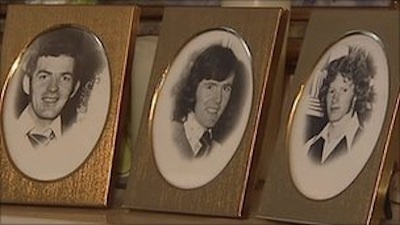 It is now 38 years since the three Reavey brothers were shot dead in their home in Whitecross on January 4 1976. All attempts to have this case resolved over that long period of time have failed including the most recent and very intensive HET investigation. It has been clear for some time that there is one major source of the impasse preventing a resolution, and that is the unwillingness of the British Government to release the official files on the case. It is very strange, to say the least, that there should be such a mysterious refusal to hand the files to the HET or the Police Ombudsman regarding my three brothers who, as everybody knows, belonged to no organisation except the GAA. This is now the eighth year of the Thirty Year Rule that should have seen such documents released regarding the Reavey Brothers. My late father, sister and mother all hoped for the truth, all hoped to know the details of what exactly happened and to have the perpetrators identified and brought to justice. The HET became the only hope. They pulled out all the stops they could find and the family felt that at last, there was going to be a breakthrough. But then everything suddenly hit a blank wall. Official calls are constantly being made by government figures including David Cameron for a resolution of the past here. But they themselves by their inaction are preventing the very resolution that they are demanding. Almost forty years after their murders by a sectarian gang, every attempt to get truth and justice has floundered on the refusal of the Prime Minister of the day to make the files on this case available, or to have them unredacted. Our experience has been the same as the relatives of the victims of the Monaghan and Dublin bombings of 1974 when government after government in the South simply turn their heads away. If those in government are sincere in putting justice and equity before whatever it is they are hiding. If they are sincere in giving leadership regarding the difficult issues of the past, then they must step forward and unlock the impasse as they alone have the key to do it.